Great news! Facebook Live has added a screen sharing feature. Available on your computer, all you have to do is install an extension to your Chrome browser. This is an improvement over the other way of screen sharing on Facebook Live. Previously you had to use third-party Open Broadcaster software and it was more complicate that Facebook Live’s new functionality. 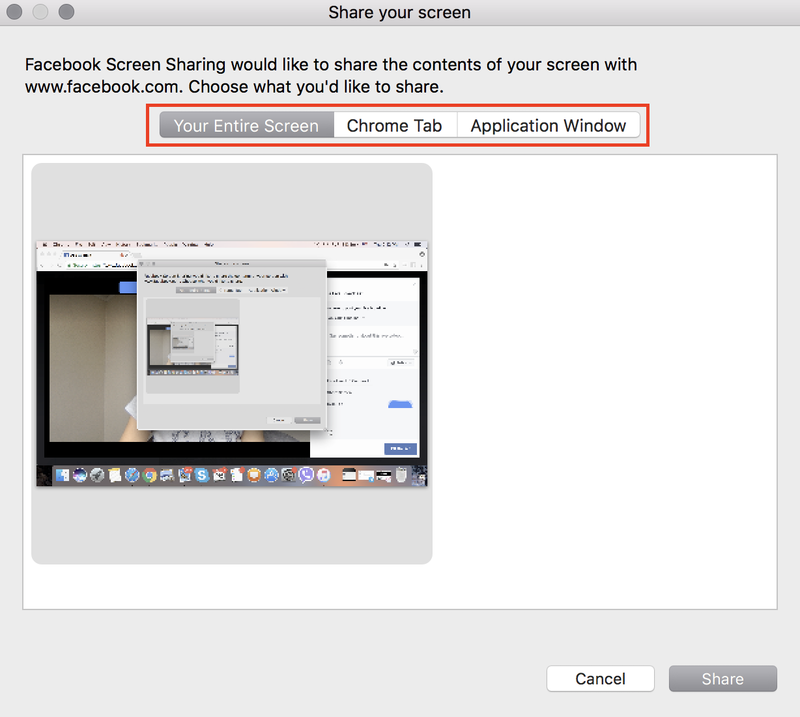 To use it, click the Share Screen button that will appear when you enter the Facebook Live module on your computer’s desktop. 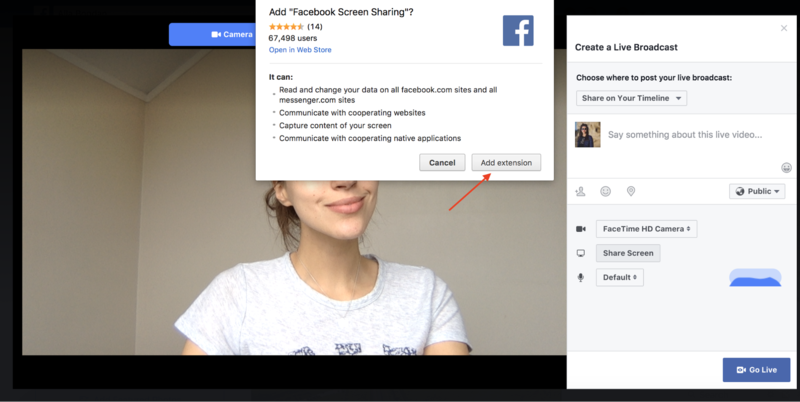 A pop up will appear to ask you if you want to add the Facebook Screen Sharing extension. Then, you’ll be asked if you want to share your entire screen, a specific tab or a specific app. It’s not perfect and the video quality isn’t super, but it’s still a big improvement and we’re sure Facebook has more updates in the works.